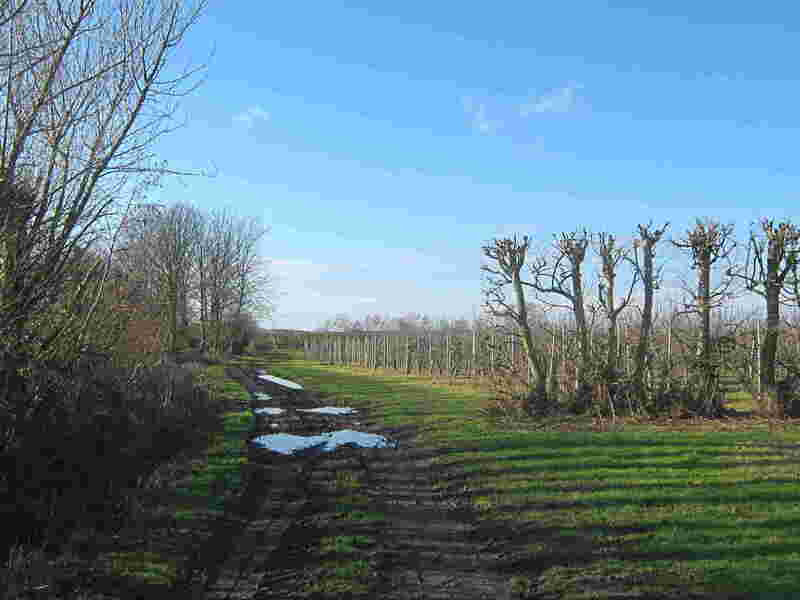 This application on behalf of the British Horse Society was made to Kent County Council under section 53(5) of the Wildlife and Countryside Act 1981 on 19 January 2019 to record a restricted byway along Brazen Street, from Corner Drove east to Paramour Street near Lower Paramour Farm, on Ash Level, in the parish of Ash next Sandwich. Download the application document analysis (10MB); reduced file size (1.5MB), v.1.0. Status: application made on 19 January 2019, acknowledged by Kent County Council on 23 January 2019, and recorded in its register of applications as claim PROW/DO/C414; likely to be reviewed in 2023.